Bankruptcy proceedings can be a stressful time for anyone who is suffering temporary financial misdemeanours or more serious debt matters. Anyone can declare themselves bankrupt, however we must warn you, once you’re declared bankrupt, there are certain occupations which you will not be able to undertake such as a solicitor, accountant, MP, director of a company and a financial advisor. This can result in many people losing their livelihoods over poor financial planning and management. Some people feel pressure not to declare themselves bankrupt as it carries a social stigma which can be damaging to their reputation. For this reason, it is imperative to seek professional and specialist advice regarding bankruptcy. What happens when you go bankrupt? After 12 months you are usually discharged from your bankruptcy restrictions. Assets that formed part of your estate during the bankruptcy period can still be utilised to pay your debts. Depending on individual circumstances, you may be entitled to annul your bankruptcy before you are discharged. At Bloomsbury Law we take into consideration the hardships and tough decisions you are facing and every matter is dealt in a considerate and confidential way. Our insolvency team has years of experience and has overcome many challenges facing our clients, resulting in successful outcomes. Bankruptcy is a delicate issue and for this reason it is imperative to seek specialist and professional advice from insolvency experts. National Debtline for bankruptcy advice. We understand a bankruptcy can be a frustrating and stressful time but please note it is of the upmost importance to contact a specialist to receive expert advice. 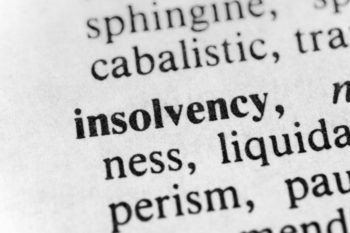 Our insolvency team have years of experience dealing in bankruptcy matters for our clients, so please call us with confidence. Contact us online or speak to one of our dedicated litigation solicitors on 0207 998 7777. With our vast experience in the field, our team will work with you to ensure this process runs as smooth as possible. All information you provide us with is treated with the utmost confidentiality.